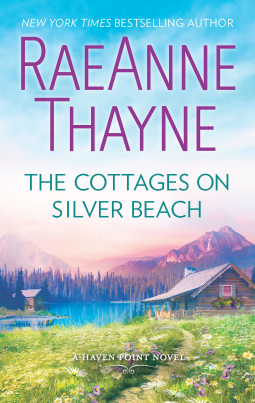 RaeAnne Thayne continues to invite readers to cozy Haven Point where the people are real and their lives are constantly expanding in family and love. I jumped into the series at book five, Snowfall on Haven Point, and haven't looked back since! Megan Hamilton, owner of the Inn at Haven Point, finally confronts the brother of her dead boyfriend, Elliot Bailey. FBI agent and successful author of crime thrillers, Elliot once stood against his best friend, and Megan's brother Luke, during an investigation when his wife disappeared mysteriously. The suspicion in the aftermath continues to plague Luke and it may spiral out of control if Elliot decides to dig into the case. Megan comes to realize that there's more to Elliot than the robotic law enforcement agent persona he dons around her when he convinces her that knowing the truth could set her family free. Each time I open up a Haven Point novel I kind of know what to expect. So far in the series each character has a dream they're working towards and an emotional set back. Along the way they might clash heads with a romantic interest that eventually provides a shoulder to lean on or opens their eyes to a truth hidden just below the surface. The set up is always different, but the endgame is more or less the same. I'm waiting for the one storyline that takes me by complete surprise whether from the character type or overall theme of the novel. It came pretty close in The Cottages on Silver Beach with the fiery dynamic between Megan and Elliot. They weren't overly friendly with each other initially and when it was awkward between them I could feel it radiate from the pages. I liked seeing them discover things about each other that they were previously ignorant of because it showed the progression of their relationship. There was tension that stemmed from an active cold case involving Megan's sister-in-law. I'd definitely be interested in Luke's story, because I just can't pass up a mystery like that! The Cottages on Silver Beach gives readers a little mystery heavily dosed with sizzling romance. Don't miss the next Haven Point novel, perfect for fans of Brenda Novak and Jen Gilroy! Take a vacation in Haven Point!